This is an amazing post-workout smoothie with carbohydrates and protein to refuel tired muscles. 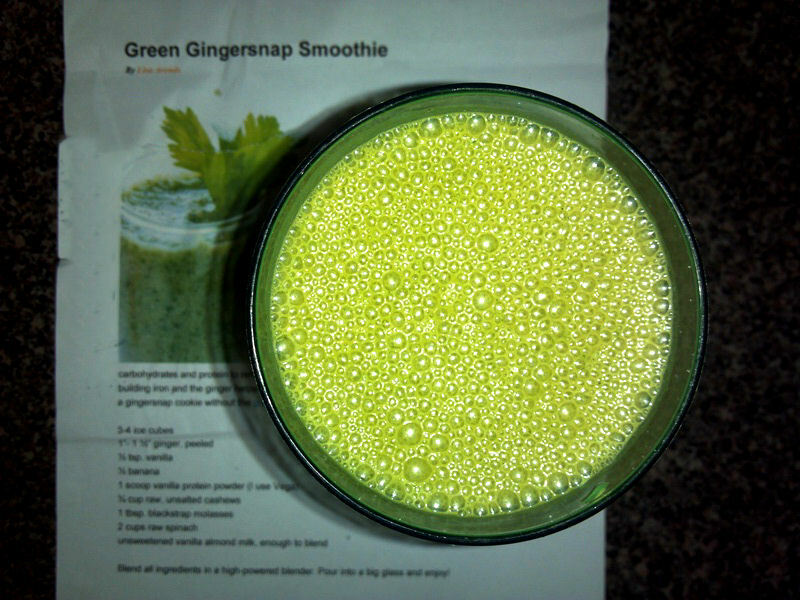 The spinach and molasses contain lots of energy-building iron and the ginger helps to promote healthy digestion. And the best part of all? It tastes like a gingersnap cookie without the gluten or the guilt! Blend all ingredients in a high-powered blender. Pour into a big glass and enjoy!